Why Kill the Innocent by C.S. Harris is a 2018 Berkley publication. A sad death, shocking revelations, and a wealth of palace intrigue! A nasty spate of frigid cold, snow, and ice hold London in its grip. As Hero makes her way through the icy sludge, she literally stumbles across the corpse of Jane Ambrose. It becomes apparent immediately that Jane is not a victim of the nasty weather, but has been killed, then dumped out in the snow. As Sebastian and Hero attempt to uncover the truth about Jane’s death, once again Hero’s father, Jarvis, appears to be at the center of all that is nasty, mean, and cruel…. This is one of my favorite series, of any genre, that I read, because I am never let down or disappointed by it. This story highlights the vulnerabilities of women in this historical time period, in shocking detail. Poor Jane Ambrose was literally at the mercy of every man she encountered or was involved with. Not only that, the novel explores the practice of recruiting men to fight in wars they have no emotional or patriotic stake in, which left their wives and children all alone with no way to provide for themselves, which often led to very tragic and heartrending results. These passages are nearly unbearable to read about, but is a terrible historical truth, nonetheless. Then there is Princess Charlotte and all the palace machinations at play, pitting her between two warring, competing, manipulative parents and all those who would hope to use her, and her proposed engagement, to their own advantage. Once more, Harris has done a fantastic job of exploring the dark, seedy sides of London, from the perspectives of the very poor to the very powerful, examining the cause and effect of all those caught in their vicious nets. 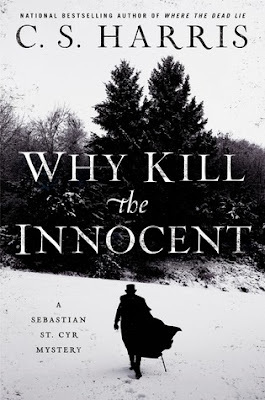 I’m loving the way Sebastian and Hero work together in tandem, the way their relationship continues to solidify, and the excellent points the author always drives home to the reader, while weaving such absorbing and riveting murder mysteries. An Air Force brat who grew up exploring castles in Spain and fishing in the mountains of Oregon and Idaho, Candy later worked as an archaeologist and earned a PhD in European history. 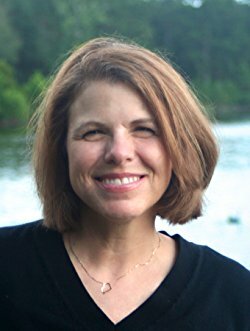 She now writes the Sebastian St. Cyr historical mystery series as C.S. Harris and historicals under her own name, Candice Proctor. Married to retired Army Colonel Steve Harris, she lives in New Orleans. Visit her website at www.csharris.net.